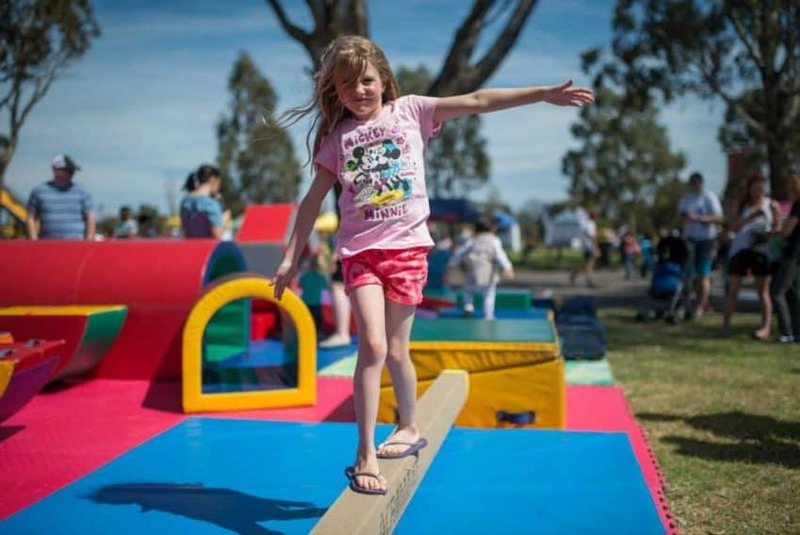 Kindergym Victoria has been invited to a diverse array of events over the past 7 years, ranging from City of Greater Dandenong's Australia Day festivals, Zoos Victoria Member Parties at Melbourne and Healesville Zoos and more. Our event set-up holds an incredibly unique niche, and is “the one thing all kids under 5 can do” as our Director Lisa Andraczke says! The Kindergym equipment can be complemented by a variety of child-directed art and music experiences as desired, and can be set-up outdoors or indoors. We have full Public Liability Insurance for all events and references from existing clients are available upon request. Contact us to discuss how we can augment your next event!